What is a hybrid and do we need it? I’ve touched on this subject before, both in some of my social media and in two previous blogs. As someone who has (and still does) work in both a traditional and online models for both sales and rentals I actually feel I am well placed to talk about issue. ‘Hybrid’ actually means a mixture of two very different things, let me clear things up however, in my opinion it doesn’t make any difference what you actually call an estate agent (yes I know the word you’re thinking of but please let’s play nice!) put simply we are still estate agents. People have and always have employed an estate agent to sell a property, now-a-days this can be done one of two ways 1. Pay upfront 2. Pay once completion has taken place. Fact 1. Online agents are growing fast and beginning to take more of the market share with their pay upfront model of sale. I may not like my larger better funded online rivals (yes secretly I am jealous that I haven’t floated my new company at £240m whilst making a loss…) but doesn’t mean I don’t respect them or watch them very closely. Fact 2. This year the supply is low and demand is high. This pushes the prices up (not the best thing in the world – think the boom and bust cycle) never the less the trend for this year will be continued growth. There are reasons for this, we live on an island so we only have a certain amount of space available to us, we barely have built any new houses (or the ones we have are not fit for purpose…when was the last affordable 3 bedroom family semi with a good sized garden you saw built?) so unless we start magically building houses, prices will continue to rise. Hybrid in estate agency terms, seems to mean that the agent offers a service in the middle of what a traditional agent does and what an online agent does. Maybe I cannot see the wood for the trees, but it seems with most of the offerings from the ‘hybrid’ estate agents is; You are still paying someone upfront or still paying even if it doesn’t sell, you are doing the viewings yourself or paying for someone who is a LPE to conduct them (Local property expert – keep up!) If sold then between you, a call centre style estate agency, solicitors and maybe some input from a geographically stretched LPE you may muddle through a sale to completion. Do we need a hyrbid? 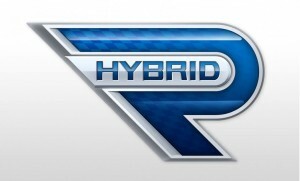 The answer is no, hybrid is just a word, a marketing invention. What you need is an estate agent that can offer you various packages or ways of selling your largest asset. At Online Agent Cardiff we’re keeping it nice and simple, we perhaps then are the pure hybrid, we’re local estate agents that have knowledge and experience in selling properties but we can change to fit your needs. We can offer a range of different ‘bespoke’ (dam it!) packages for you to chose from to sell you home. Firstly we are indeed local, living and working in Cardiff therefore you can find us, meet us and talk to us face to face. Secondly when you instruct us you will pay nothing until completion, we will agree a fixed fee upfront which is a lot lower than the traditional 1.5% estate agent fees and there’s no nasty VAT to worry about either. We conduct all the viewings and manage the sale to completion. Only upon a successful completion do you pay us, so like a traditional estate agent it’s no sale no fee and like the online estate agent we are cheaper and more cost effective to use. We can offer an upfront payment package if you so choose and you can do the viewings and deal with the time wasters yourself…what nobody told you about them?! I’ll leave you to your choices. Until next time time happy hunting! Are high street agents done? Why is it so slow and frustrating selling leasehold properties? !